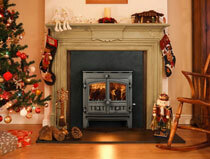 Hunter is one of the UK's leading stove and central heating manufacturers. Their team of engineers, designers, fitters and welders is based in mid Devon, where they've been creating award-winning stoves since 1996. 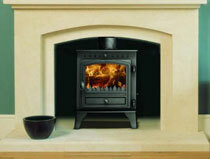 Visit our Hunter Kestrel 5 Stove page. Visit our Hunter Hawk 4 Stove page. 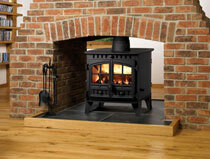 Visit our Hunter Herald 4 Stove page. 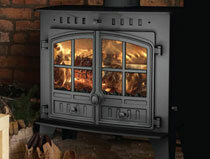 Visit our Hunter Herald 6 Stove page. 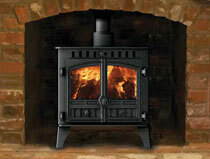 Visit our Hunter Herald 8 Slimline page. 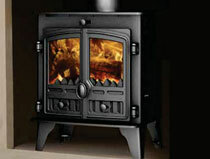 Visit our Hunter Herald 14 Stove page. Visit our Hunter Herald 80B Central Heating Boiler Stove page. Visit our Hunter Compact 5 Stove page. 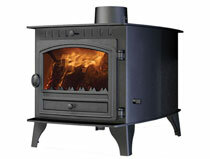 Visit our Hunter Hawk 4 Gas Stove page. 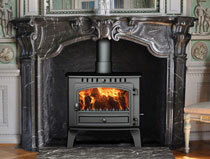 Visit our Hunter Herald 5 Inset Stove page. 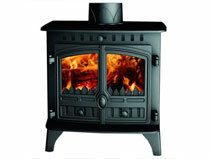 Visit our Hunter Herald 6 Double Sided Stove page. 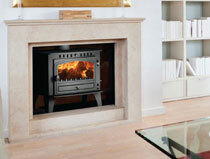 Visit our Hunter Herald 8 Central Heating Boiler Stove page. Visit our Hunter Herald 14 Central Heating Boiler Stove page. 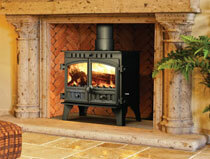 Visit our Hunter Inglenook Stove page. Visit our Hunter Hawk 3 Stove page. 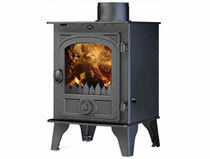 Visit our Hunter Hawk 4 Double Sided Stove page. 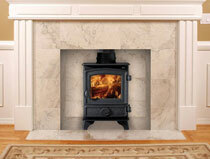 Visit our Hunter Herald 5 Slimline Stove page. 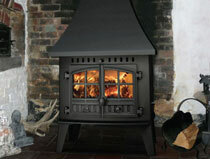 Visit our Hunter Herald 8 Stove page. 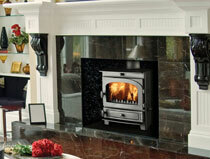 Visit our Hunter Herald 8 Double Sided Stove page. 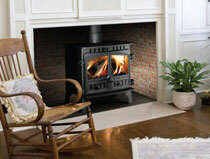 Visit our Hunter Herald 14 Double Sided Stove page. 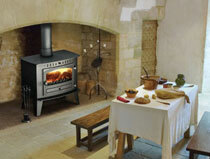 Visit our Hunter High Power Inglenook Stove page. 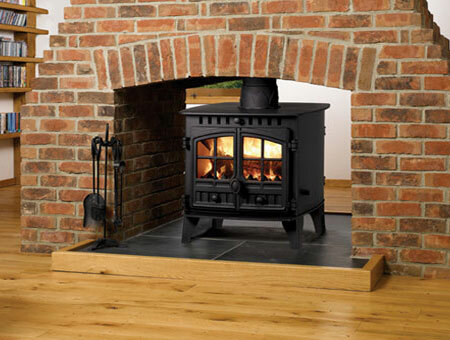 Hunter Stoves are built on over 40 years of expertise – and equipped to face the future. Multi fuel stoves have come a long way in the last century, and are now perfectly adapted to modern living. Hunter is renowned in the industry for its use of pioneering technology, such as Cleanburn, a system that significantly reduces the carbon emissions from a traditional stove. Hunter use independent testing and CE approval to ensure that their stoves reach the very highest expectations. 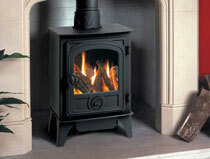 DEFRA has declared Hunter stoves exempt from the Clean Air regulations. This means you can use their approved stoves to burn wood, even if you live in a Smoke Control Area. The built-in technology ensures that emissions are consistently low. They have met the stringent demands of the Department for the Environment, Food & Rural Affairs. If you're in a Smoke Control Area, you'll be equally delighted with the results. 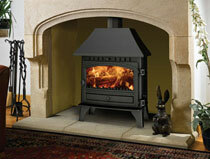 Our best selling Hunter stoves are the Herald 5 Slimline and the Hawk 4 stove. 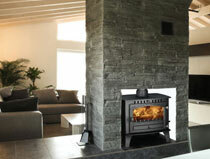 Hunter stoves are available from 4kW heat output up to 18kW. Please consult with us with regards to the most suitable heat output for your intended installation. Contact County Woodburning Centre on 01724 844872 and our friendly, knowledgeable staff will answer your questions about any of the Hunter stoves shown on our website. Alternatively, why not visit our 3000 square foot Lincolnshire stove showroom where we'll be happy to light up one of our Hunter stoves so you can see these fantastic stoves for yourself.